Names like Thuli Madonsela and Mamphela Ramphele may be familiar to many of us today, as female leaders in South Africa worthy of recognition. However many successful and inspirational South African women remain relatively unknown to many of us. Wits Business School Journal shines a light on some of South Africa’s most powerful and influential women. Whether in media or mining, banking or politics – these women are forces to be reckoned with, and role models to many. From this list, we’ve chosen our top five to commemorate this Women’s Day. Wendy Luhabe. Photo: Flickr, Colby Stuart. Luhabe is a social entrepreneur and author. She has spent much of her career working to empower previously disadvantaged people, especially women. In 1992, she began her first foray into social entrepreneurship, founding a consultancy called Bridging the Gap, which helped prepare previously disadvantaged people for the business environment. In 1994 she founded women’s investment group Wiphold, which enabled tens of thousands of women to invest for the first time and was the first women-owned company to list on the JSE. She also started a private equity fund for women-owned businesses. Gill Marcus is the ninth governor of the Reserve Bank – and the first woman to do the job. Marcus was born in Johannesburg in 1949 to anti-apartheid activist parents, so notions of democracy and political dedication were inculcated within her from a young age. She and her parents, brother and two sisters went into exile in London in 1969, interrupting her university studies. In London, she ran the family sandwich bar and finished her BCom degree through Unisa. She also worked for the ANC’s information department and became editor of its weekly bulletin. When the party was unbanned 20 years later, she moved back to South Africa and was asked by the party to start an information department here. She became the ANC’s media interface at this crucial time of political upheaval. In 1994, she travelled South Africa with Nelson Mandela. She was elected a member of parliament that year and chair of the joint finance committee. She became deputy minister of Finance in 1996 and deputy governor of the Reserve Bank in 1999. In 2009, she became governor. 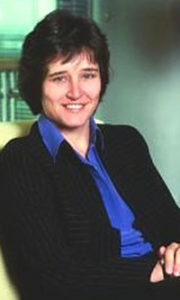 Nicky Newton-King was the first woman to run the Johannesburg Stock Exchange, Africa’s largest, in its 124-year history. Having been deputy CEO of the JSE for nine years, Newton-King stepped into the top spot. Before she worked at the JSE, she was a partner at one of the country’s biggest law firms, Webber Wentzel Bowens, where she advised clients in the securities and financial services industry. In 1996, she joined the JSE to sort out an insider trading scandal, just as major changes began in the almost-bankrupt exchange. It was still very much a ‘boy’s club’ then, but a time of transformation was beginning, that Newton-King would lead. Since then, she has been behind the writing of legislation, such as the Insider Trading Act, one of the only statutes in the world that compensates those negatively affected by insider trading. Newton-King has three law degrees, a fellowship at Yale and attended Harvard for a development programme. 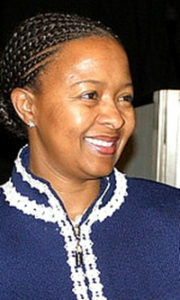 Nonkuleleko Nyembezi-Heita was Forbes’s 97th most powerful woman in the world (2011). Since 2008, she has been CEO of a subsidiary of ArcelorMittal, the world’s biggest steelmaker, owned by the Mittal family of India. Nyembezi-Heita grew up in Clermont, a township near Durban. She excelled at school and was awarded a prestigious scholarship from Anglo American that allowed her to study a BSc in electrical engineering at the University of Manchester Institute of Science and Technology in the United Kingdom. She got her master’s degree at the California Institute of Technology, where she was valedictorian. 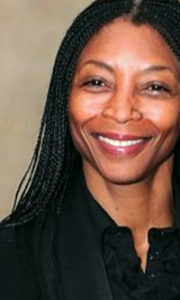 She began her career in 1984 with IBM in the United States and South Africa. IBM groomed her for leadership. She headed its Windhoek division till 1998, when she became CEO of Alliance Capital Management. She then joined Vodacom as head of its mergers and acquisition division. Bridgette Radebe is Africa’s richest black woman; her money is made in mining. Radebe wanted to study law at Wits, but was barred because of her race. Radebe had to defy legislation to start her firm Mmakau – named after the village in which she grew up – as a contracted company managing shaft mining operations and procurement for major firms. Mmakau is a successful but under-the-radar business with quality assets in platinum, gold, uranium, coal, chrome, exploration and mining services. And Radebe has more knowledge about deep-level mining than any woman – and most men – in the business.